Norfolk Botanical Garden is the most picturesque setting in Hampton Roads. We encourage visitors to take casual photographs or videos via phones or digital cameras for their personal use. Personal photographs and videos are not to be used for commercial purposes. portrait and commercial photography at Norfolk Botanical Garden. To ensure the perfect experience for your portrait session, advanced reservations are required for all engagement, wedding/bridal, business, graduation, prom, formal and informal family portraits, catalog, fashion, advertisement, promotional photography. Norfolk Botanical Garden does not provide a photographer. Specific areas or gardens cannot be reserved. We accept reservation up to thirty days in advance. Reservations available Monday-Friday during regular business hours only and between 9am-12pm on weekends. This includes a two-hour session at Norfolk Botanical Garden and admission for up to six individuals. Photography sessions do not include private dressing rooms, however you are welcome to use any of our public restrooms to prepare for your photo shoot. Norfolk Botanical Garden members at the Family Plus Membership level or higher receive one complimentary photography session per year. Photographers and photographic studios cannot extend their membership benefit to clients. Become a Member Today! This includes a private bridal suite/dressing room, a two-hour session at Norfolk Botanical Garden and admission for up to six individuals. Complimentary Member Sessions do not apply to Bridal Suite Photography Sessions. Advanced reservations are required. Getting married at Norfolk Botanical Garden? Your photography session may be included in your wedding package. To learn more about NBG’s Wedding Packages click here. For information regarding commercial photography and film rates please contact Marketing & Communications Director Kelly Welsh (757)441-5830 x346. There is no penalty for cancellation. As a courtesy, please notify us if you have to cancel or rescheduled your appointment. In the case of inclement weather, we are happy to reschedule your session. Garden public trams make designated stops on a set schedule and all guests are welcome to ride. Schedules are located on the Garden map and can be picked up at the Visitor’s Center Front Desk. Garden staff is not available to accompany groups during photography sessions. Shuttle services and golf cart rentals are not available. Personal vehicles must remain in designated parking areas. Payment is due upon check in at the Guest Services Desk in the Baker Hall Visitor’s Center and can be made by cash, check or credit card. Complimentary photography sessions for members require a valid membership card. The Guest Services Desk will issue a one-time use photography permit that must be displayed during your session. Thank you for your courtesy to Garden guests and our stunning collection of plants. Please review the Garden’s rules in advance. Balloons and pets are not permitted. Elopements, weddings and vow renewals require a private event reservation. Absolutely NO wedding ceremonies may be performed without advance reservation. Parties not in compliance will be asked to leave immediately. All fees from photo sessions directly support the mission of the Garden. Photographers not abiding by any portion of this policy will be asked to leave the Garden. 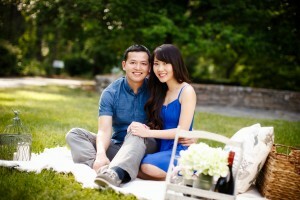 Thank you for choosing Norfolk Botanical Garden for your portrait session!